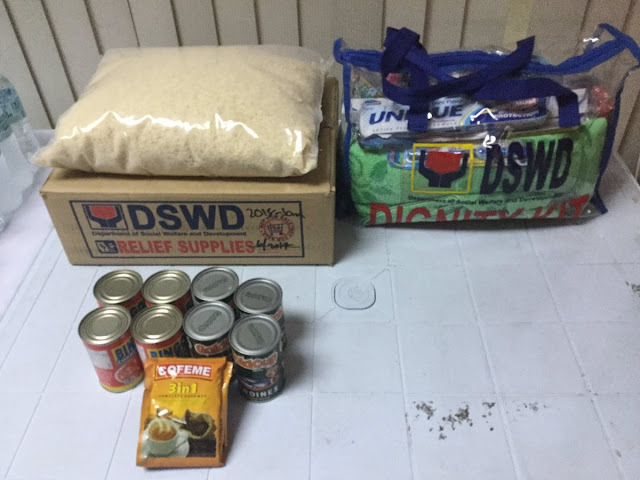 MANILA, July 28 -- Social Welfare Secretary Judy Taguiwalo said Friday they will begin switching the contents of family food packs for Marawi evacuees from canned goods to mongo beans and dried fish to provide them a more nutritious and varied diet. “We are now procuring new contents for our food packs. It will no longer be sardines and corned beef,” Taguiwalo told reporters during a media briefing at the Department of Social Welfare and Development’s (DSWD) central office in Batasan Hills, Quezon City. Under the new plan, they will replace the canned goods with mongo beans and dried fish, she said. She noted that the displaced families have been eating the same fare since they moved to the evacuation centers to escape the clashes between government forces and Maute Group terrorists in Marawi City. Early this month, the National Nutrition Council of the Department of Health also recommended that the evacuees be given meals that include nutritious animal- and plant-based food, saying that they should not be eating canned goods all the time. Taguiwalo said that as the evacuees move towards the early recovery stage, it is time to give them food that contain vegetables. She further said that she is coordinating with the DSWD field offices to use rice that was confiscated by the Bureau of Customs and donated to her department, to make champorado, to be served in their supplementary feeding program for children. Meanwhile, Taguiwalo bared the plan to help the evacuees earn money so they could purchase additional food, through the cash-for-work scheme. The scheme pays each worker PHP200 per day for a 10-day period for work that he/she will render.